Check out our range maps, links and documents to learn more about the swans of the world- where they nest, winter and migrate throughout the world. 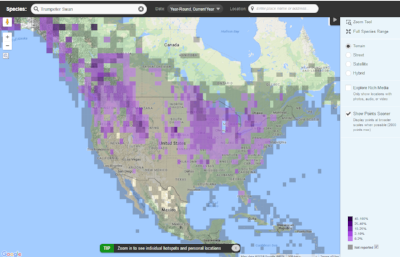 Find out where Trumpeter Swans have been seen and reported to Ebird. This online map zooms in and out across North America. 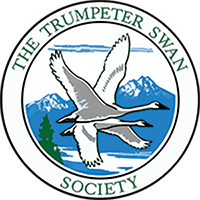 Zoom in to find the dates and locations of Trumpeter Swan sightings near you! Thank you to Wisconsin Ebird for making the link available. Summer and winter ranges are expanding in many areas, especially the Midwest, as recovering populations increase. Breeding distribution in North America is surveyed in detail every five years. Many states survey their breeding Trumpeters each fall and some conduct winter distribution surveys, however few detailed range maps exist. 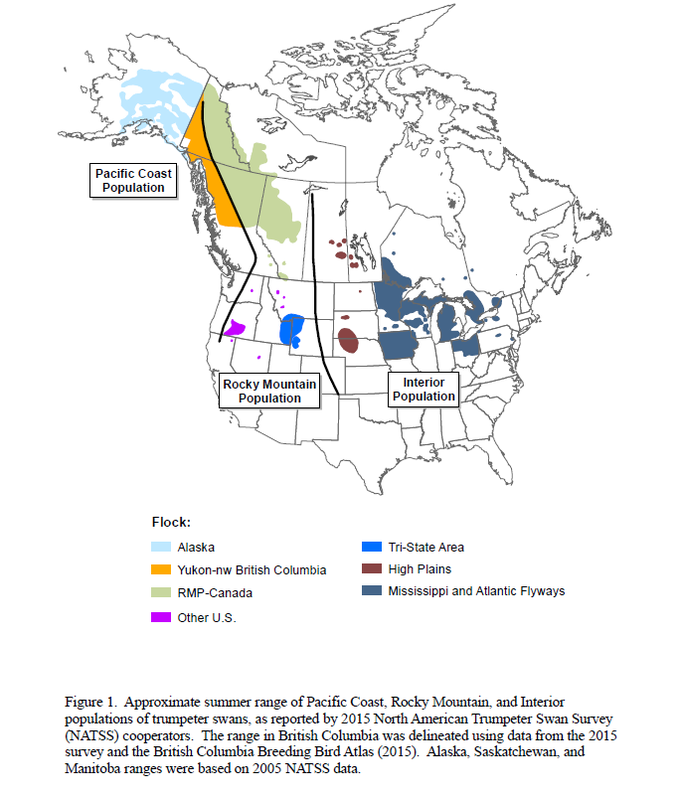 Check out the 2015 North American Trumpeter Swan Survey for the current range maps and population counts in different Flyways. Tundra Swans in North America are part of a larger species distribution. Check out the "Circumpolar Distribution" to learn more. North America's Tundra Swans nest in the arctic, and migrate for the winter either east to the Atlantic Flyway to the Chesapeake area, or west to California. 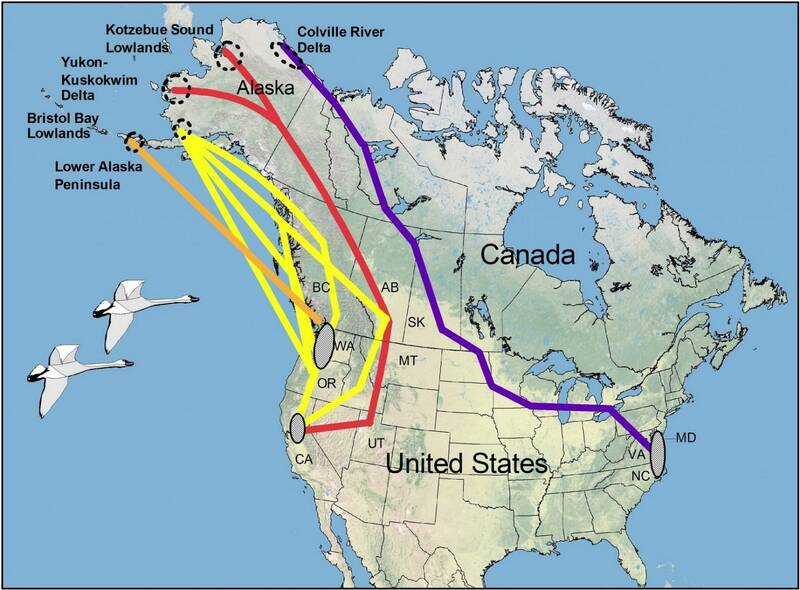 Their migrations can overlap areas where Trumpeter Swans have been nesting or winter (especially in the Pacific Northwest). Cygnus columbinanus bewickii, and Cygnus c. columbianus. Cygnus (columbianus) bewickii is the Eurasian form which migrates from Arctic Russia to western Europe and eastern Asia (China, Japan) in winter. It is often considered a subspecies of C. columbianus. Cygnus columbianus is a small swan which breeds on the North American tundra, further north than Trumpeter Swan. It winters in the USA. Cygnus cygnus breeds in Iceland and subarctic Europe and Asia, migrating to temperate Europe and Asia in winter.